GOOD MORNING my sweet friends & welcome to our first day of our 42nd Edition Release Sneaky Peeks! Everything we are showcasing this week will be available for purchase this Friday, April 17, 2015 at 8am PST! I am SUPER HAPPY about today's sneak! 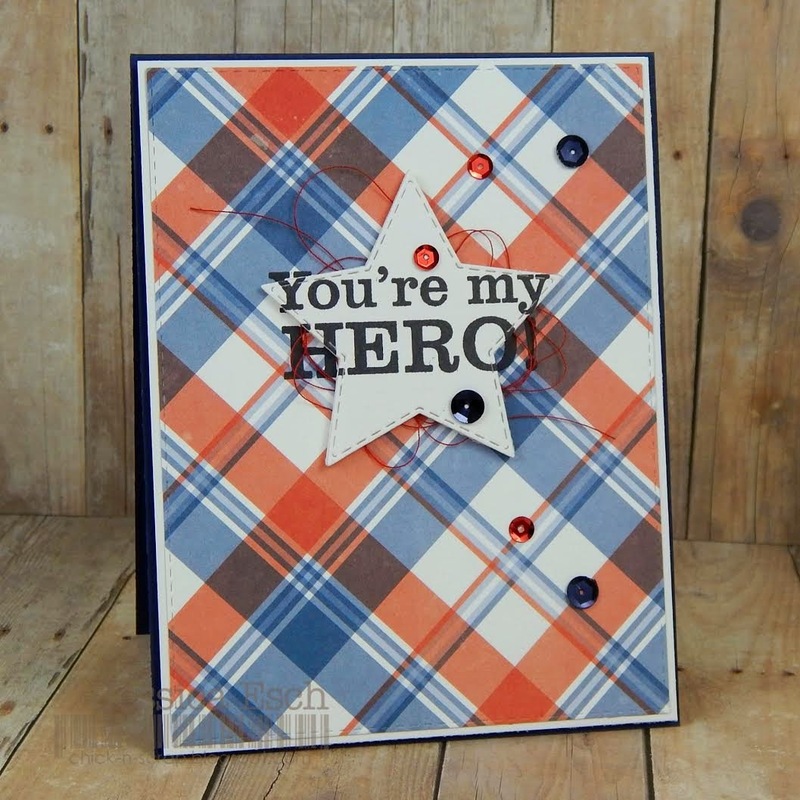 We are featuring 2 new items which are "You're My Hero" which consists of a total of 10 bold sentiments & "Bunch of Stitched Stars" consists of 6 stitched star dies that have stitching on the inside & out! The biggest star die in this set measures 5x5 & the smallest start die measures 1x1. For my card today, I wanted to used the different sizes of stars & adhere them to my card & ALSO create a shaker for one of the stars to add some interest to my card! 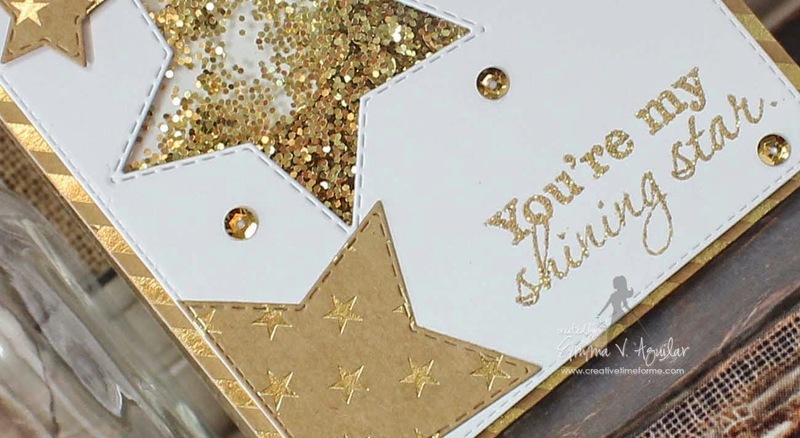 Then I used Gold Tinsel embossing powder by Ranger for the sentiment! The pattern paper is a 6x6 Kraft Foil paper pad by Bazzil Basics. 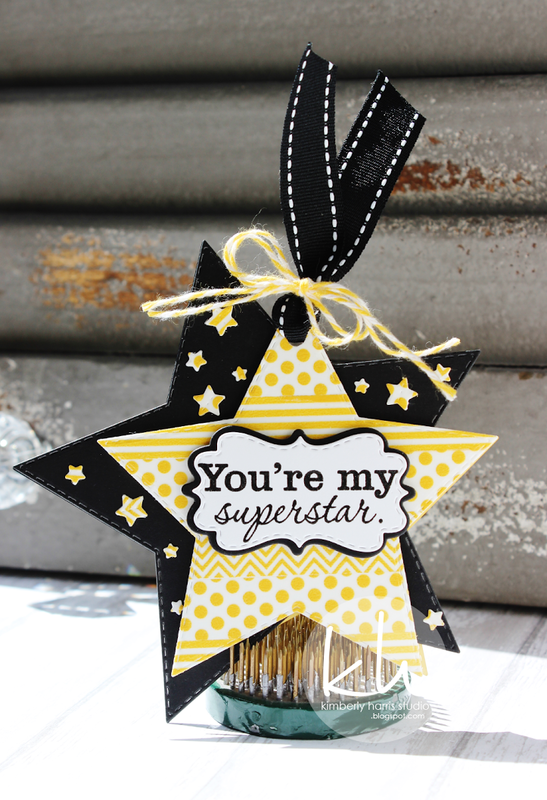 I just LOVE these new dies because not only can you make CUTE shaker cards, but you can ALSO create star shaped cards! HOW FUN IS THAT? You can see below all the FUN POSSIBILITIES that can be done w/these sets from my AWESOME team below! Thank you ALL for stopping by! I hope you ENJOYED today's sneaky peeks! Please join us back here tomorrow for some MORE AMAZING peeks from my team & myself! Have a FABULOUS day my sweet friends! Gorgeous card Emma! I am so glad you designed the star die set! I have been hoping for some Stitched stars in multiple sizes, especially up to a 5"! Woo Hoo! Oh Emma this card is gorgeous!!!! Those stars are so pretty! I love the shaker portion of your card, so sparkly and beautiful! Love it! Good Morning Miss Emma OMG Girl what an awesome Sneak Peek WOW I totally am in love with the stars and stamp can't wait to see the whole You're My Hero stamp set. Your card turned out simply Gorgeous love the Kraft and Gold....a fab. paper pad too. Love how you did your shaker. You totally did an outstanding clever and creative job.....Thanks for a super fun start to my week. YOU totally ROCK!! 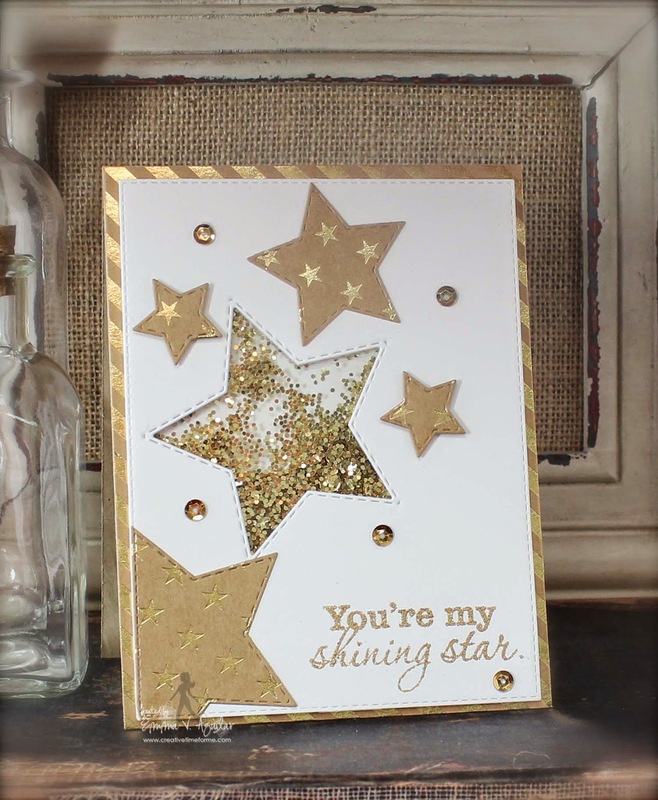 omg I am loving these star dies and your card is just fabulous. 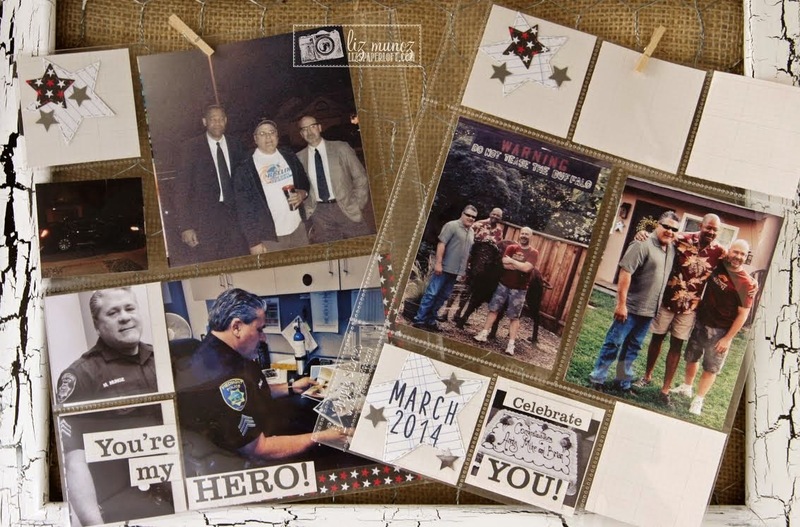 What a fantastic way to start out this edition of your new stamps and dies. I am hooked.Thanks for a great sneak peek! I love and need these dies!! Awesome job!! AWESOME Day 1 of sneaks everyone!!!! So LOVING the gold stars Emma!!!!!! FAB job girls! Can not wait to see what everyone has in store for the rest of the week!!!!!! So cute! Love day one of the sneaks and cant wait to see what the rest of the week brings! Love your sweet shaker card! Everyone's creations were so inspiring! I can't wait to see the complete set. Love the stars. Great work. Your card is gorgeous, Emma! 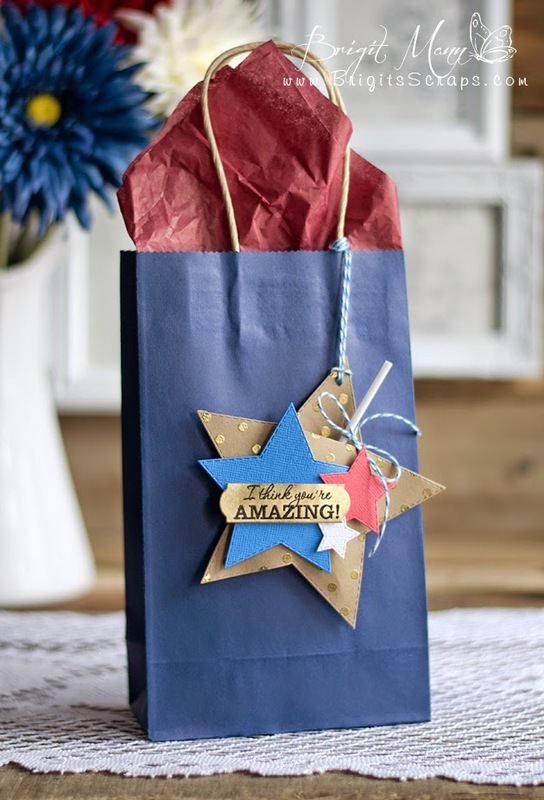 Love the shaker and that kraft foil paper you used! Awesome star dies! Love the card! Now that's a nice size star! Love all the fabulous inspiration! Love the star dies - especially the stitching inside and out! A must-have for my collection! All the projects are awesome! Love x love these fabulous stars, Emma...the stitching adds such a special touch! Your card...swooning! 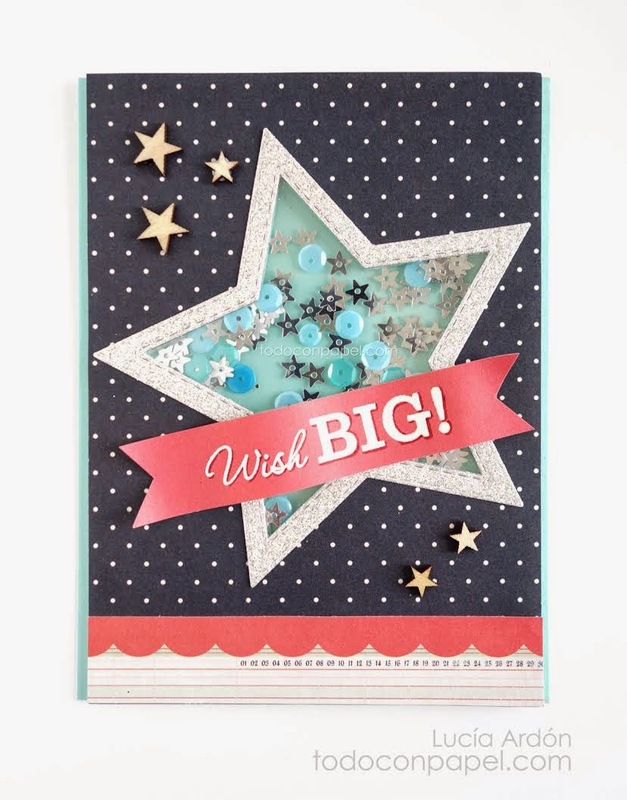 Gorgeous card Emma and love the new stitched star dies! Everyone's projects were awesome! Great showing, I like the shape of the stars, best I've seen. Great that you can make the basic card from the dies. Get tired of the same basic shapes for my cards. The shakers are so pretty. Have to get up the nerve to make one soon. I love those stars and your card is gorgeous Emma!! The stars are great. Everything is better when it is "stitched"!!! Love the stars! I can see myself using those a lot. Emma your card is really pretty, this set will be perfect for graduation cards. Thanks! I just love the new star stitched stars! 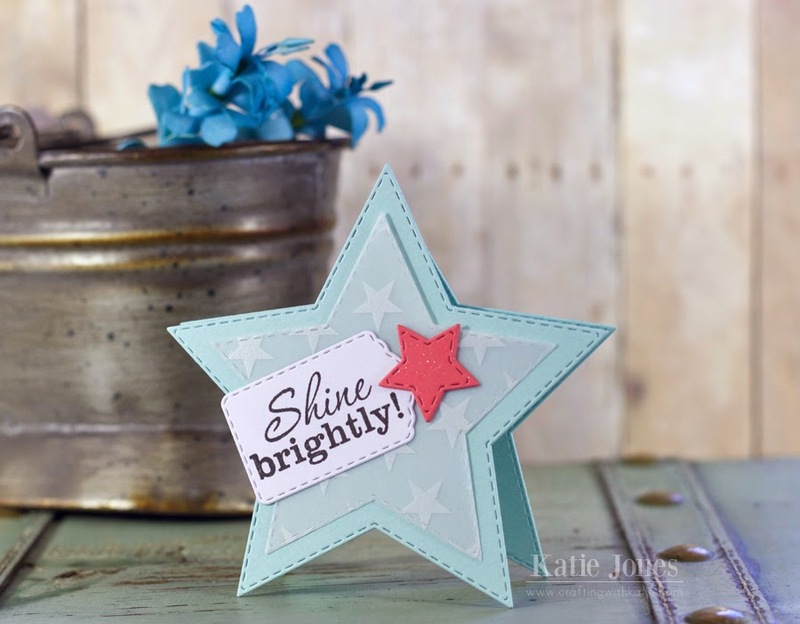 Beautiful shaker card, love the new star dies with the stiches. Gorgeous shaker card! I love seeing kraft and gold together! Fabulous!! I love the stars, what an awesome group of projects! Oh My Stars!!! 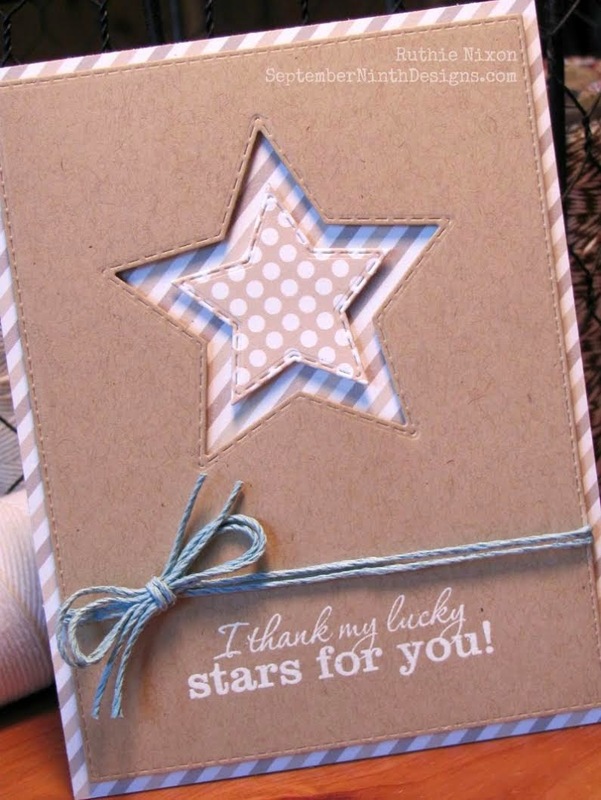 I am going to love having these stars in my collection and the sentiments are wonderful as well as pretty. Can't have too many sentiments. Beautiful job on your shaker card. That cardstock and tinsel embossing is wonderful. The awesome design team came up with such pretty projects and they always surprise me with their clever ideas. Wow everyone...fabulous job. Love the card, I want those stars! Your card is awesome Emma! I love how you used the star dies making the shaker part of the card! I also love the paper you used. This is a cool die set and the sentiments too. Can't wait to see the next sneak peek! Thanks Emma for all you do, really! Beautiful card and I love the sentiments in this stamp set. Thanks for the chance to win. WOW Emma!!! your card is GORGEOUS... love it! How very cool, Emma, cant wait to see the rest of the week!! Very cute star shaker card! I LOVE stars! Your card is AWESOME!!! Those dies will be so useful!!! Love this release. I can not wait to see what else you come up with!! How cute are these. Love your shaker card. Love this release. Love the awesome star die-set! FUN shaker card!!! Love the gold! What a fabulous die set! LOVE the stars! The gold paper and embossing you used is wonderful. Your shaker is sooooo pretty. LoVe the gold. Thanks for sharing. I'm already in love with this release! I love your card and the color combination. Like always, you always have awesome releases. super cute! i can't wait to get my hands on these stars! Can't wait to get these stars. My head was swimming with ideas at work. I love the stars . I can't wait to get them . OHHHHH my goodness! LOVE everything all the amazing ladies created!!!!! SUPER CUTE! Emma ~ Well this is simply STUNNING! LOVE the stars in gold ~ Seriously GORGEOUS!!! All over FABULOUS design too! Well this team always AMAZES me ~ ALWAYS!!! This release is just AMAZING ~ like every month!